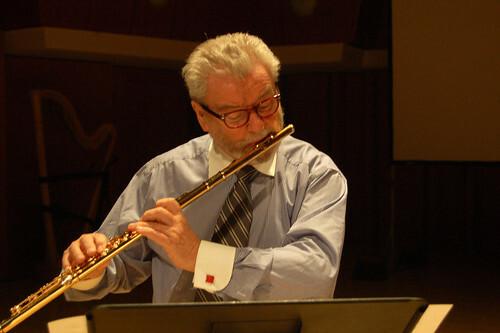 We were honored to have special guest and internationally renowned flutist Sir James Galway on our Athens, Georgia show! Check out On the Road with Joanne Robinson for a funny back stage story. You can listen to this show and see a video of Sir James collaborating with young performers on our website. In March we traveled to Cedar Falls, Iowa to tape Show #229, which included 17-year-old accordionist Danielle Renzi from Rhode Island. 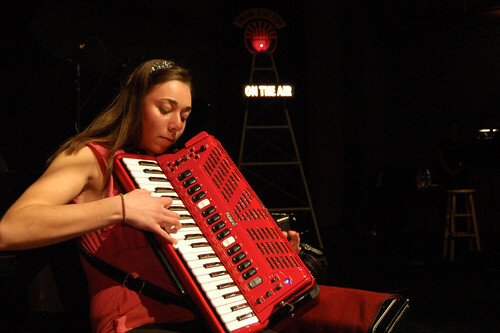 Danielle treated us to La Musette by Angelo Di Pippo on the Roland digital accordion. Listen to the show and see a video Danielle in action. In early April, the From the Top team went to Monterey, California to tape an episode as part of the e.g. Conference. 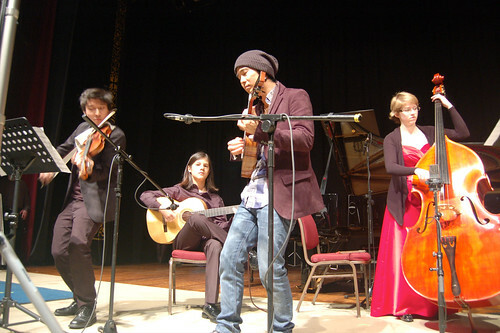 This show included guest artist Jake Shimabukuro, who brought an incredible energy to the stage by blasting away conventional thought about the limits of ukulele. The episode is airing this week, and is available on our website. Below is a video clip of Jake and Charles jamming on stage before our show started taping. Watch this entire show on our YouTube channel. A mere two days after the e.g. Conference show, we were in New York City for not one, but two special concerts! 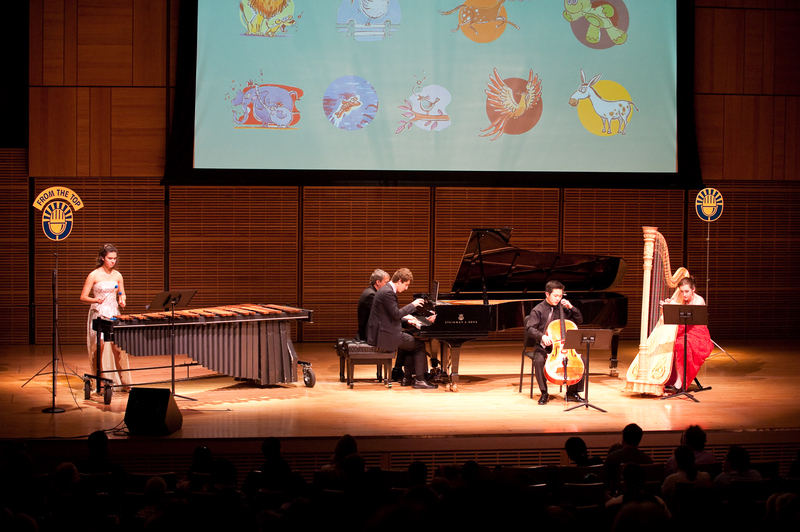 On Saturday, April 9 Christopher O’Riley hosted one of Carnegie Hall’s Artist Showcase Family Concerts, featuring the winners of From the Top and Carnegie Hall’s Big Break YouTube contest. 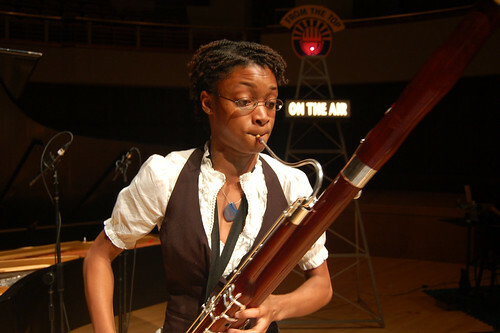 The very next day the same young musicians performed on Show #231, which was taped at the Jerome L. Greene Performance Space at WQXR. This show airs the week of May 16, and will be available on our website. Less than a week later, From the Top taped in College Park, Maryland. This show featured a talented and diverse group of teenage musicians. Read more and see a video with On the Road with Joanne Robinson. This episode airs at the end of May. @classicalkid @CarmelPalladium Great show last night…fun, incredible kids, beautiful concert hall…thanks, From the Top! A huge thanks to all our fans who came out to see us this spring! Stay tuned for 2011-12 tour dates.